Domaine Maison Neuves has been a family run estate for five generations. It is located in the commune de Saint Lager at the foot of the famous Mont Brouilly, in the heart of the Beaujolais region. 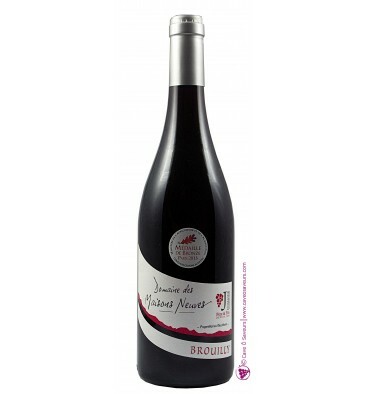 The estate extends over 40 hectares of vines, with 8 hectares in the Brouilly appellation. The grapes are hand harvested in various passes to ensure that only optimally ripe grapes are used for wine production. Ruby red in the glass with a pronounced bouquet of fruit. The palate offers red fruit, prune, peach and mineral flavours with great structure, freshness and length.